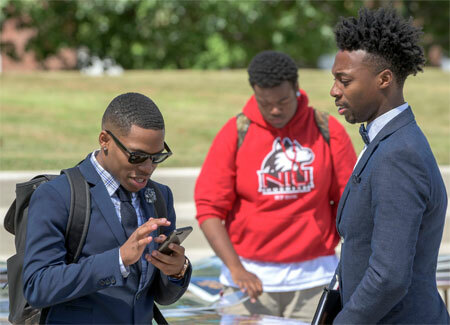 While enrollment at Northern Illinois University declined slightly this fall, the quality of students admitted improved as did retention rates for continuing students. The university’s official 10-day count showed an enrollment of 20,130 students. That is a decline of about 2.3 percent, the smallest dip in enrollment since 2010. “We are not where we want to be, but there are encouraging signs of progress,” NIU President Doug Baker said. One of the most positive signs was continued improvement in retention of students. The one-year retention rate for freshmen improved by one percentage point to 72 percent, which built upon last year’s leap of 5 percent in that category. In addition, the two-year retention rate for the fall 2013 freshmen class also increased by 5 percent, a substantial improvement over the fall 2011 and fall 2012 new freshmen numbers. Both the one-and two-year retention rates represent four-year highs. “We have invested a lot of effort into improving every aspect of the student experience and it is paying off,” Baker said. The university’s efforts to attract higher achieving students also paid dividends. All of the key quality indicators – class rank, grade point average and composite ACT score showed improvement. With that increase in high-achieving students came significant growth in the university’s honors program, where enrollment surged by nearly 100 students, an increase of 31 percent. The university’s efforts to attract more international students also bore fruit. The 321 undergraduate international students on campus this fall represents a 48 percent increase from two years ago (up 23.5 percent from last year) while the number of international graduate students has climbed by 43 percent over that period (up 11 percent from last year). As a result, the current international student enrollment of 1,211 represents an all-time high. Changes in demographics have reduced the number of high school students statewide, making competition to recruit college-bound much steeper. At the same time, tuition increases in Illinois have made out-of-state schools more attractive to some students. 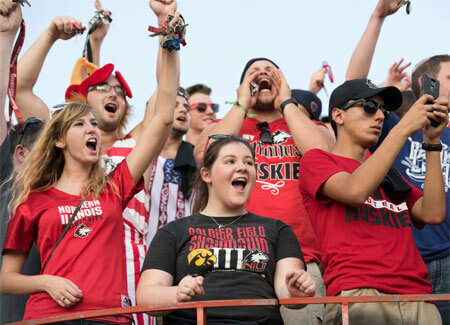 NIU has held the line on the total cost of attendance (tuition, room and board) flat for the last two years and intends to do so for the foreseeable future, Baker said. He is hopeful the many steps taken by NIU will have a positive effect on enrollments. Per the 10-day count numbers, the total undergraduate enrollment for the university this semester is 15,027. (down 2.6 percent). The graduate enrollment is 4,850 (down 1 percent) and the law school enrollment is 253 (down 8.3 percent).